Inspiring insights by children’s book author Laurie Walmark will help you to encourage kids to have fun while learning STEM skills. Award-winning author Laurie Wallmark has an MFA in Writing for Children and Young Adults from VCFA. 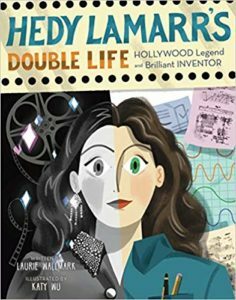 She is joining us today to talk about her new picture book Hedy Lamarr’s Double Life: Hollywood Legend and Brilliant Inventor. Hear great tips and stories from Laurie on how to get children EXCITED about STEM and how to spark their natural interest in these subjects. Movie star by day, ace inventor at night: learn about the hidden life of actress Hedy Lamarr! Laurie Wallmark has degrees in Biochemistry from Princeton University, Information Systems from Goddard College, and Writing for Children and Young Adults from the Vermont College of Fine Arts. Her debut book, Ada Byron Lovelace and the Thinking Machine (Creston Books), received four starred reviews (Kirkus, Publishers Weekly, Booklist, and School Library Journal), praise in The New York Times, and numerous awards. Laurie lives in NJ. Pre-order a copy now from your local bookstore, IndieBound, or Amazon. 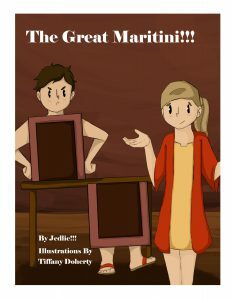 What was Laurie’s inspiration for writing this book? What advice does Laurie have for parents and teachers to expose kids to STEM? More about her upcoming projects…Be sure to listen to find out more about Hedy Lamarr’s Double Life! A big Thank You to Laurie Wallmark for joining us! Glad you all could join us for today’s guest interview! We hope you’ve enjoyed this interview and we look forward to introducing you to some great guests in our next episode. Read NextIn Conversation with Brian Dwyre & Jonathan Masiulionis! !